In An Interview With God, the Almighty is a middle-aged man in a bland suit who dispenses axioms with all the dexterity of someone used to bamboozling the people he meets. 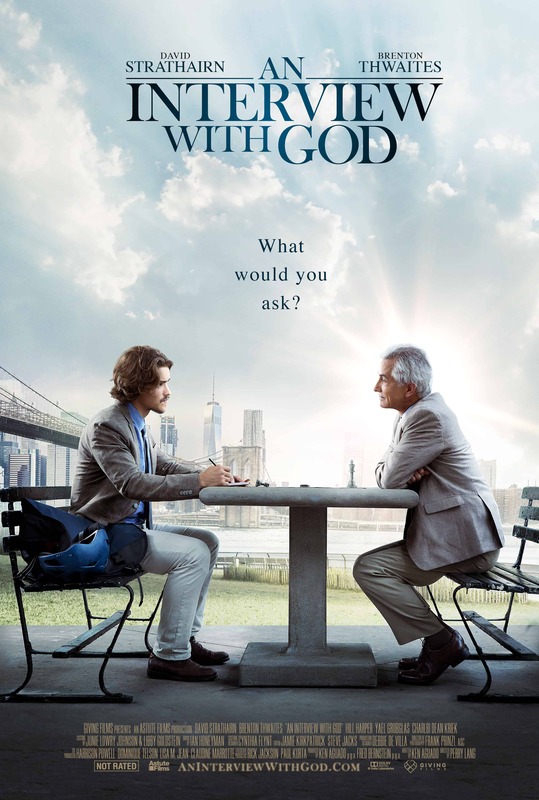 In the more than capable hands of David Strathairn, he also conforms to the idea that God is unknowable, even when God Himself is telling you all you need to know about Him – or isn’t. This is at the heart of the initial mystery of whether the man really is the One True God, or whether he’s just a con artist looking to exploit Paul’s emotional problems for unknown reasons. But this being a Christian movie first and foremost, it doesn’t take long for the mystery to be jettisoned and God’s identity to be confirmed (it happens during the first interview). What follows is a jittery, dramatically unstable examination of faith and how its loss can have a profoundly negative effect on our lives, and particularly in relation to personal trauma. However, Paul’s experiences in Afghanistan are never explored in a way that would allow us to have any insights into what ails him, and his failing marriage hinges more on Sarah’s feelings than his own. He may be in pain, but – and here’s the irony – we have to take it on faith that he is. The script – by Ken Aguado – does its best to explore notions of salvation and free will, but skims over questions such as why do bad things happen to good people (the answer? They just do). With God answering Paul’s questions often with another question, their conversations soon feel like empty existential banter tricked out to sound illuminating and profound. Also, such is the amount of cod-philosophical repetition in these scenes, it’s hard to decide if Aguado and director Perry Lang were aware that this approach was stifling the material, and making it feel stilted. In the end, the movie opts for a literal answer to the question of God’s identity when a more ambivalent one would have suited the material better. As the embattled Paul, Thwaites acquits himself well but is hampered by his character lacking sufficient depth for us to care about him except superficially, while Strathairn opts to play God as a kind of exasperated guidance counselor. Both actors are good in their roles, but mostly this is against the odds, as their characters remain ciphers throughout. With artifice increasingly the order of the day, and faith sometimes treated as an abstract concept, the movie ends on a feelgood note that it hasn’t quite earned, or is deserving of. Rating: 5/10 – the tagline asks, What Would You Ask? 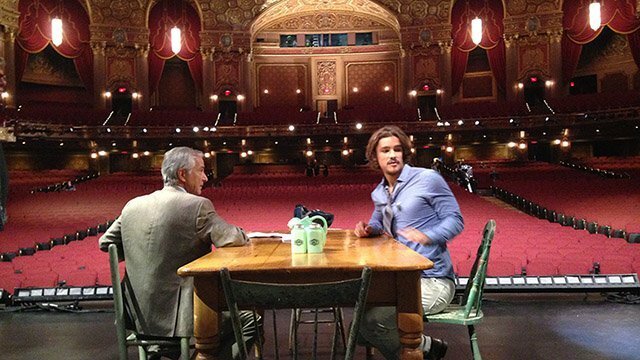 but this is as profound as An Interview With God ever gets, thanks to a wayward, not fully realised screenplay, and some awkwardly staged scenes between Paul and his boss (Harper) (and Paul and Sarah… and Paul and God…); in the end it proves nothing except that God continues to work in mysterious ways – if you believe in that sort of thing – and none more so than in allowing this movie to be made as it is.